There are a few medical needs that Medicare does not cover. Dental is one of those, with most procedures not covered. This is a guide about, "Does Medicare have dental coverage?". I am a 44 year old single mother on Social Security. I am low income and I am raising my daughter on low income. I have teeth that have cracked and I lost two. I am in need of the root to be pulled and that has been over due a year. I am in severe pain and my sister had a brain abcess and ended up in the hospital for three months after two brain surgeries. She was paralyzed on one side and did time in rehab. I am terrified of that being my fate. Is there any help with dental through Medicare? I have Medicare through Social Security Disability. 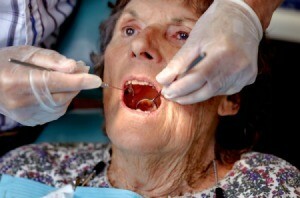 Medicare does not cover dental treatment. However, you may be able to find low cost or sliding scale fees at a local dental school. You did not provide your city and state so I am not able to suggest possibilities. You can search for dental schools in your area online. At the very least, go see your doctor for pain killers as well as (hopefully) something to ease the swelling (if any). The doctor should also be able to address your concerns about related issues and if brain tumours are a potential result of your current problems. I am a 51 year old man on social security permanently disabled. I am raising a6 year old child( maie) which i have custody of for the last 5 years. I love him more than anything . so he always comes first. I have had beautiful teeth. My whole life years ago i was on medicine that a doctor put me on for pain it was a lolipop form that you had to rubon your gums. After years of being on that medicine i started noticing my teeth were getting yellow in color. I lost my 4 teeth in the verry front upper teeth. I never had even a cavity until i started using that medicine long story short i have been off that med for 5 yea4s now but with no 4 front teeth how can i get them looked at and fixed on medicare.because ive been to dentists for them but they always take x rays. Then cleaning. Etc. I just want my beautiful whie smile back. Even if i have to pay a small amount . monthly. Thank you verry much looking for a responce with answers to m7y situation.